Angels. Meet your personal angels and then communicate together. Angels are every where waiting to communicate with us. Your angels love you and have been waiting all of your life to be listened to the assistance that they are ready to give you, each moment of your day. They hear all the prayers of your heart, and just by your mental cry for help, they flock to your side, embracing you and giving you chills all over your body so as to let you know that they are there ready to speak. They have been there all along waiting for your awareness and desire to communicate, with them. This would give them such pleasure. You CAN be part of each other, have conversations, plan together and make life a paradise on earth. All it takes is the willingness to be part of such realm, of high vibration, called Angels, without fear. If you have not being introduced to your personal angels, but you have heard voices, had pictures, flashes or a strong feeling to do a certain action. Those times are when an angel is speaking to you. To ask for angelic assistance, you do not need to conduct a formal ceremony. 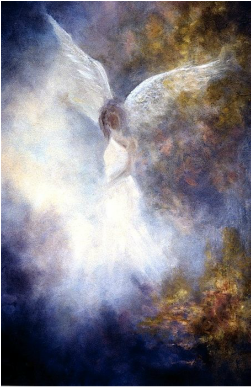 Angels are not complicated, their true pure loving nature, waits patiently, until you start believing that something so powerful and great is accessible to everyone instantly and it's true. There are many simple ways to start communicating on a conscious level with an angel. I am available for a free reading of your spiritual helpers and your special gifts of this lifetime. All you need do is https://www.facebook.com/divinelovesite and ask. Getting to know your personal angels that have been with you since birth is the biggest gift you can give yourself this lifetime. In my darkest moments I dreamt of you, dear angel of life that has not forsaken me. I dreamt of a love that contains the pain, sorrow, and illusion of life. It was a fulfilling dream that made me realize how simple life is, when my mind and ego is out of the way. The melody of love sings to me containing the golden rays of the sun. This type of life becomes like a melody within my heart. A golden aura of perfection, an everlasting power created by ONE love that exists, all around the presence of life. Every day this kind of world will exist once more. It will be a world of compassion, love, creativity, kindness, and most of all enlighten Beings, where each religion has a name yet one God is the energy source of our existence upon this earth. We are the angels of the earth here to guide you, love you, each day and night. It is a wonderful peace of mind to know an angel is there for YOU. Angels wait patiently for us to speak to them. They are doing their very best to communicate with us. A few of us listen not knowing what it is that is giving us the inspiration and communication. It is your angels. The energy of angels is every where. As long as you are open to this idea, you can go into a room and feel the beauty of the presence of all the angels there. Have you ever experienced such ecstasy? Meeting with your personal guardian angels is the most rewarding day of your life. I know because I have been there done that. My life certainly changed from that day on. It became a continuous Bliss. Teach your children about the angelic realm. Let them play with them, have fun together, be there as a friend. Does moments are so priceless; they fill the heart with confidence and joy. 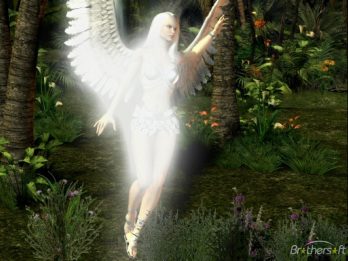 When you connect to the world of Spirit you start dancing with the fairies, love becomes a ball of white light that the more you purify your body, soul and heart the more you become light as a feather. Magic happens each moment you take the time to listen. It is very hard for me to describe the power and beauty that I feel when immersed in the energy of Divine angelic love. Give it a go for yourself, then let me know how you feel. You will gain an appreciation of the joys this kind of love brings into your life each day. Many people have stories to tell of miracles that happened to them because of a presence of angels. I am sure that you also have a story you can tell us. God bless you, your family and all your loved ones. IT was a long time ago, in the times of the Roman empire, when Christians were sent in the arena to be faced with the challenge of concurring the lion or being eaten by the lion. At such period of my life my consciousness had reached a high level of awakening and power. 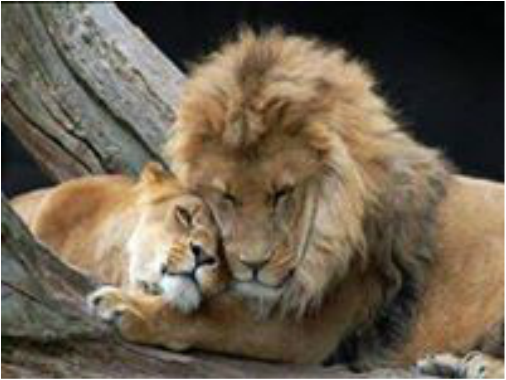 Therefore in the moment of finding myself in the arena I tamed the lion for a while without being eaten. The spectators were not happy with such result. So I chose to die rather than put a little more effort into strengthening my faith and trust in the essence of the soul. I could have quite easily tamed the lion placed my hands up into the air and demanded to be let go free. Instead my soul became lost and I have been a victim of others since the time I was in the roman arena being faced with the challenge of concurring the lion or being eaten by the lion. In that moment of letting go and my body dying, the consciousness of the soul returned to the awakening of the previous life. The incarnations that followed I continued to choose others as my guiding light. Today 4/11/03 I choose to reclaim the power and full essence of my soul as was then, a long time ago. I no longer want others to be the running force of my daily life. The ruler of how I feel or what I do. I have been a split personality all of these years. One personality connected to the soul and the other connected to humans. Humans are what they are. The truth will continue to be part of my own existence. It is up to me to make sure that I live my truth. I know I can reclaim such power. Finally make it my own and build upon it until it becomes the full reality of whom I was. Living such reality will be similar to that moment in the arena. It will be like being given another chance at my disposal to relive and this time complete the task to its fullest potential. That way such purpose will be complete. Now that I am fully aware and conscious of whom I am it will be easier to live such truth. LISTEN TO THIS ANGELIC VOICE WHILE YOU ARE READING. Angels are everywhere ready to speak to you.